Mr. Price is the lead sports picker and handicapper for Sports Information Traders. A service that provides reputable sports betting advice on all of the major betting sports from around the world. There’s a number of things a player has to do before placing their first sports wager, you’ll have to start by finding a reputable sportsbook to use. Now, unless you’re living in or around Las Vegas, or a remote territory where sports gambling happens to be legal, you’ll want to check out the thousands of online sportsbooks available to US residence or International clients. Each sportsbook has its own angle and offers different perks and bonuses for signing up and depositing into your betting account. Some will even match your cash deposit with a percentage of that deposit to give you some free play cash. 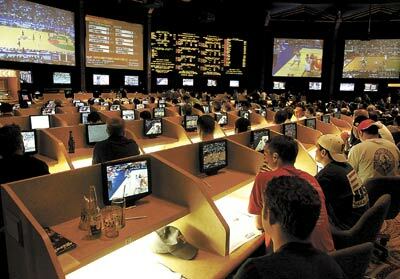 Next, before betting you’ll have to understand the odds and payouts of sports wagers. For example, when a team is favorited and the payout odds are -125, that means you’ll have to pay $125 to win $100 for that play. Conversely, if the team is an underdog and the payout odds are +125, then you’ll only have to pay $100 to win $125. This does not include the “juice” or “big” which is a fee paid to the sportsbook as a commission for each bet or wager you place. The third and final step is deciding what to bet on. It’s always a good idea to stick to what you know, so whatever sport you’re most comfortable with and most knowledgeable of, that’s probably the right sport for you, however if you have aspirations of being one of the professional bettors who relies predominantly on sports betting as a main source of income, then you may want to look into putting a handicapper or reputable industry sharp on your side, like our own founder Jon Price. Jon Price has been featured in hundreds of publications across the country about his sustained success in the sports betting industry over the last 20 years. And he’s certainly no stranger to big headlines either as Jon has won more than a few multi million dollar wagers that some publishers caught wind of and have ran stories on. Picking winners is what Mr. Price does, it’s his talent and this is your chance to join his team and let him get you on the winning side of tonight’s game. When you team up with the professionals, you’re getting the absolute best and most winning information available, and increase your odds greatly of becoming a successful sports bettor.